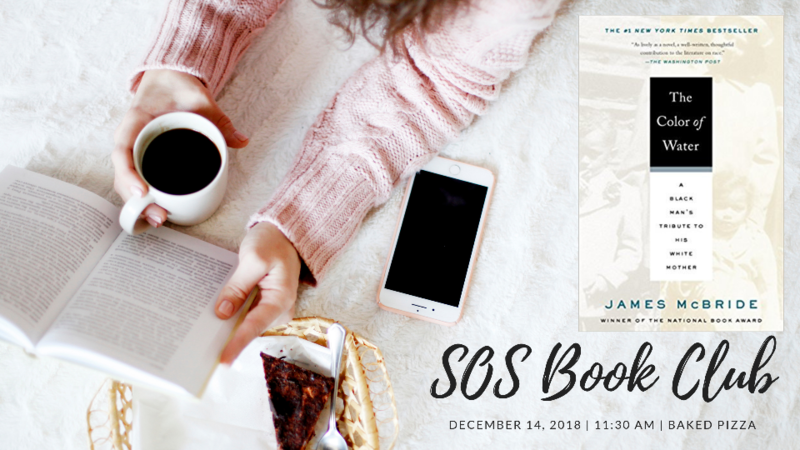 Join your SOS friends and sisters in reading “The Color of Water – A Black Man’s Tribute to His White Mother,” by James McBride. We have our own room, so we’ll have plenty of privacy for a lively discussion! SOS members Karen Kalish and Gretchen Curry look forward to leading the discussion. Parking is available in a lot next to the restaurant.